Your times of distress are a signal. in your present plane of living. These are the times of decision. that now sees its purpose outgrown. Your answer, as always, lies within. We would entreat you now to . . . The following is a combination of verses from two different poems in SONGS from an INNER SILENCE. that he of all does best. but may be stated most simply . . .
Love is, "To be at one with . . ."
And, Respect, is its higher form. Shortly after finishing his medical training, Dr. Lansford had an out-of-body experience, and in the following year, met and became friends with a psychic individual who referred him to the Edgar Cayce Foundation in Virginia Beach, Virginia, the previous home of Edgar Cayce. In the early 1960's, on subsequent trips to the A.R.E. Headquarters there, Dr. Lansford talked with Gladys Davis Turner, Edgar Cayce's secretary who took down in shorthand all of his psychic readings. Dr. Lansford also met Edgar Cayce's son, Hugh Lynn Cayce, and with others, worked on the medical circulating files containing treatments of various diseases as given by Edgar Cayce in his readings. Dr. Lansford also lectured at meetings in the 1960's at the A.R.E. Headquarters in Virginia Beach, and at their medical symposia in Phoenix, Arizona in the 1970's. 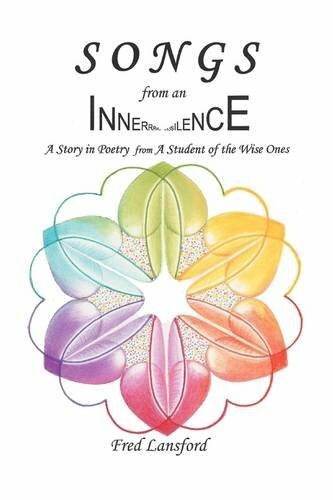 It was through the influence of my psychic friend and the people at the Edgar Cayce Headquarters in Virginia Beach that I became interested in the quest for spiritual instruction and began to write poetry with a spiritual quality to it. The poems are so arranged that after the first ten poems, the rest of the poems begin, by their sequence, to tell a story. The exact story is best left up to each reader's imagination.